MPavilion 2017 by Netherlands–based architects Rem Koolhaas and David Gianotten of OMA. Cities are a contradiction. While the urban environment is essentially fixed, it’s home to a constantly changing population. But thanks to the increasing co-existence of permanent and temporary structures, such as artist pop-ups and Melbourne’s MPavilion, urbanism is changing to better reflect its dynamic community. Ignoring urban dynamism is not a new issue. The modern ‘city’ as we know it was born in the nineteenth and twentieth centuries. Rapid industrialisation and migration demanded efficient structures for an emerging metropolitan population. These cities were didactic containers for humans, not an environment for their development. Believing that a style imposed on the public would shape collective behaviour, Victorian-era governments encouraged grand public buildings such as Melbourne’s Town Hall. Whatever the reality of the Australian population, a monumental combination of historic motifs projected an image of European heritage onto the community. Later on, theories of the city as a garden or a growing network offered alternate models for urban development. These were all short-lived in the face of an established and apparently efficient system. As urban populations diversified, this one-way dialogue between city and society has only increased. We are living with this legacy. Having inherited past architectural models both physically and conceptually, we continue to exist within, and embed, anachronistic urban systems. Increasingly, mobile populations in global cities are realising these old patterns are socially and environmentally unsustainable. But while twenty-first century design can introduce a responsive city, physical and practical limitations are also working to prevent this. In the meantime, temporary architecture and contemporary interventions are creating synergy within the urban field and are building momentum towards a new urban experience. The crux of the matter is within the built environment and the real challenge is in transferring these ideas to its formal structures. Unsurprisingly, these aims are best expressed in physically impermanent structures that enjoy permanent cultural status. Unlike urban systems, pavilions are transitory structures existing solely to support human activity. They turn the city’s default hierarchy of structure over people towards a more equal relationship between site, form, and activity. This is where the tectonics of architecture – the essential relationship between built form and the ideas that give it meaning – come to the fore. In 2000, London’s Serpentine Galleries initiated annual urban encounters with responsive design through their summer pavilions. Frida Escobedo’s 2018 Serpentine Pavilion embraces a courtyard with a concrete roof tile lattice. The play of light and structure localises Mexican residential architecture to new conditions. It also recalls Lucio Costa and Alfonso Reidy’s mid-century South American brick and tile screens. And closer (temporally and geographically) to Escobedo’s project, Herzog and de Meuron eschewed glass curtain walls to encase Tate Modern in an open and closed brick pattern – breaking down chronological or professional hierarchies. What’s left are cultural, geographic and programmatic connections. This tectonic network speaks to dynamic and multi-(even inter-)cultural urban societies better than didactic styles ever could. 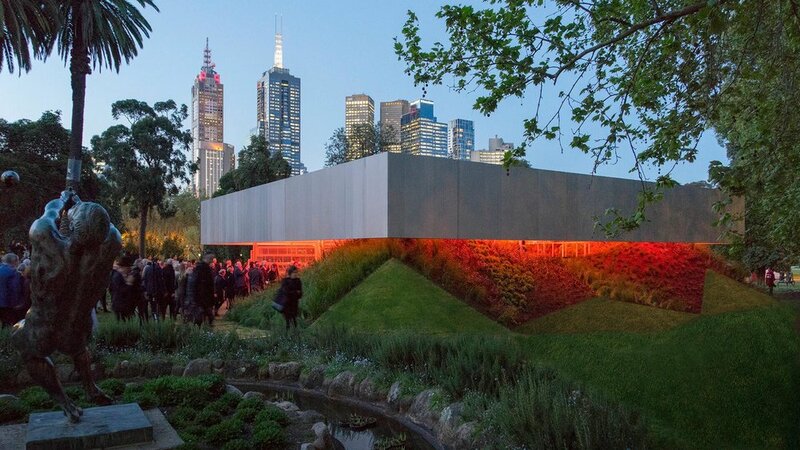 Melbourne’s MPavilion is, by definition, an impermanent tectonic structure. In Melbourne, a city defined by diverse facades from the Edwardian Baroque to contemporary forms, this is especially important. MPavilion strips back ‘structure’ to leverage architectures ability to leverage architecture’s ability to speak to communities and foster engagement. In just four years, MPavilion has cultivated an inclusive architectural culture for its own city. Sean Godsell Architecture’s pavilion ushered in the annual program in 2014. The pavilion’s adaptable form aimed to reconcile functional rural structures with the urban environment to highlight the city’s fixed yet fluid conditions. Slow Art Collective’s Leaf House Muse installation echoed Godsell’s design with natural and locally foraged materials to transform MPavilion. The resulting space responded to – rather than conventionally obeyed – the built environment. The following year further blurred structure and landscape, with Amanda Levete of AL_A creating a canopy of petals for the pavilion. At once organic and tectonic, the 2015 design stressed collaboration between urbanism and nature just months before Melbourne stepped up its environmental sustainability efforts. 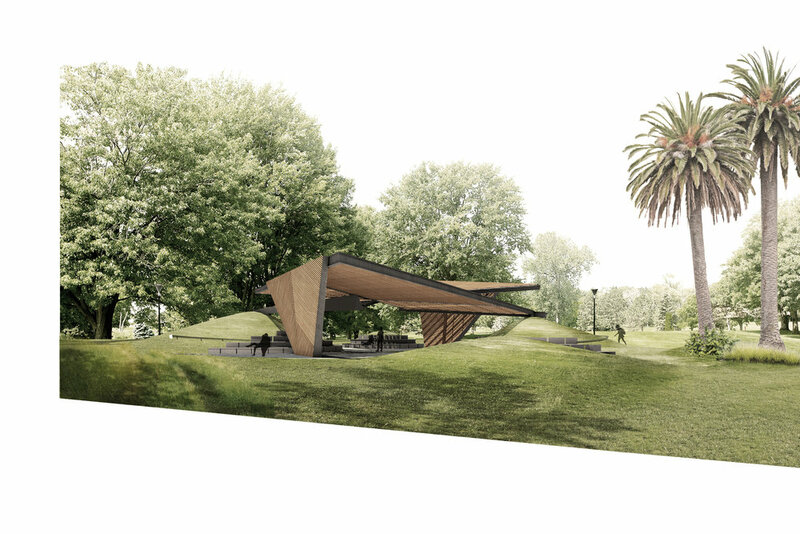 MPavilion strips back ‘structure’ to leverage architectures ability to speak to communities and foster engagement. MPavilion 2018 by Barcelona-based architect Carme Pinós opens on the 9th October. By 2016, integration of site, structure and activity helped reinvigorate urban culture across Melbourne. At MPavilion, organic lines created by Bijoy Jain of Studio Mumbai appeared to both grow into, and emerge from, the ground. Jain’s bamboo form was echoed in the simultaneous exhibitions Bamboo: Tradition in Contemporary Form at NGV and Bijoy Jain Studio Mumbai: Making MPavilion 2016 at RMIT Gallery. Finally, urban communities were seeing a dynamic city changing with their activity – not the other way around. Adaptability of Rem Koolhaas and David Giannoten of OMA’s 2017 MPavilion, with its swinging podium, translated this fluidity into form. This year, Melbourne will welcome an architect whose architectural philosophy speaks directly to inclusivity. Carme Pinós, of Estudio Carme Pinós, has designed a pavilion that appears to have alighted on the site. While its frame grounds the pavilion, the timber latticework creates an ever-changing interplay of light and shadow reflective of the city’s constant human evolution. While we have inherited a static urban system, contemporary design reveals we don’t have to keep it. Projects where global voices combine to reorient city spaces can reconfigure relationships between urban communities and the urban field. These interventions are not permanent. But they do possess a sustainable impermanence. By even momentarily diverting pathways and habits through the city, and creating a space for discussion, temporary interventions create a discourse around how we want our cities to evolve. It is up to us to keep it going. MPavilion 2018 officially opens on the 9th of October and runs until the 3rd of Febraury 2019. For more information about this year's architect, Carme Pinós, and a full festival program head over to mpavilion.org. Monique Webber is an academic at The University of Melbourne. 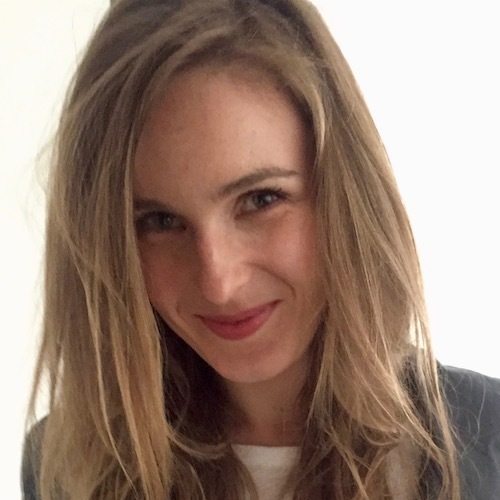 She teaches and writes about art, architecture, and design; and loves following her research around the globe.